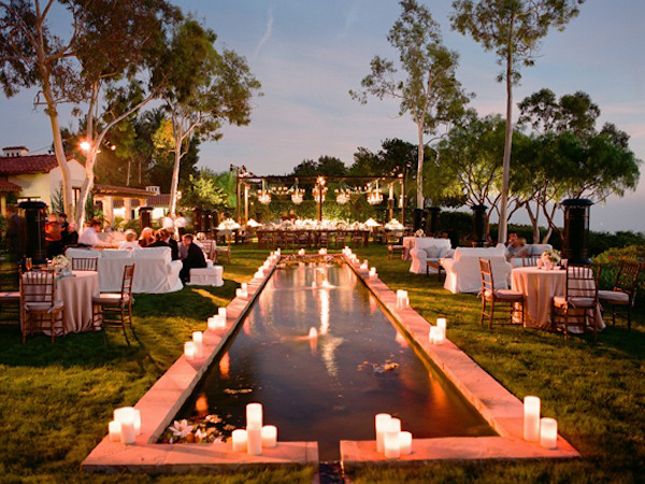 There are so many marvelous ways to celebrate your love and of our course I have a brilliant one. 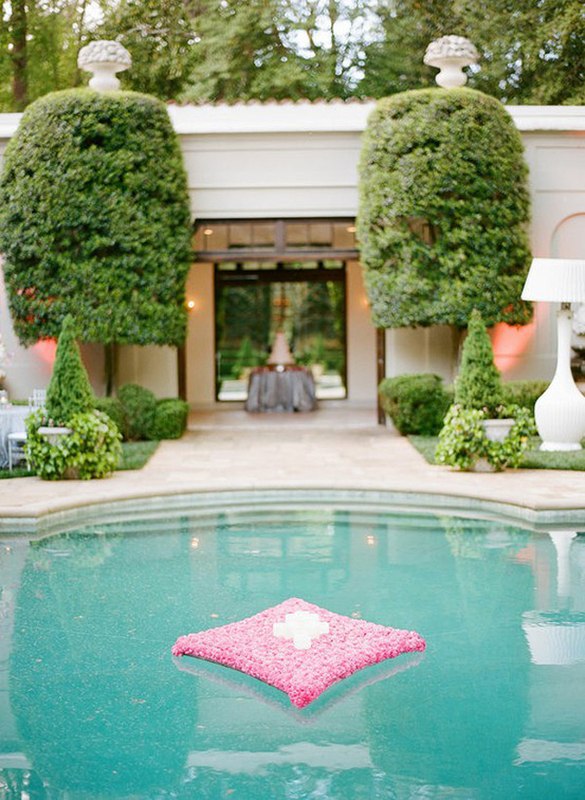 Why not get hitched poolside? 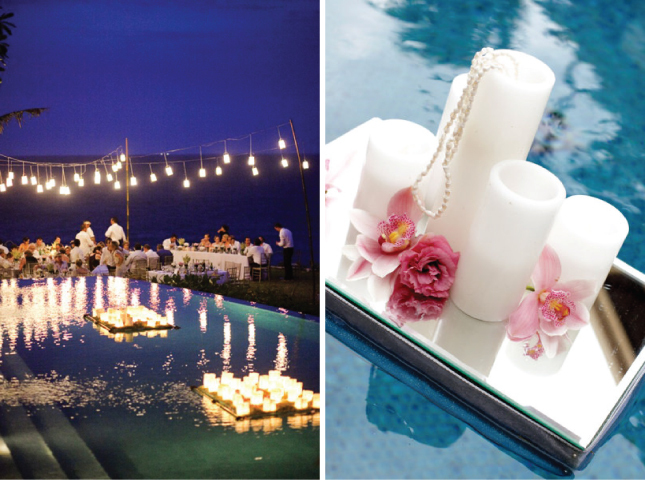 Organize a classy poolside wedding reception by mixing equal parts of glamour and welcome. 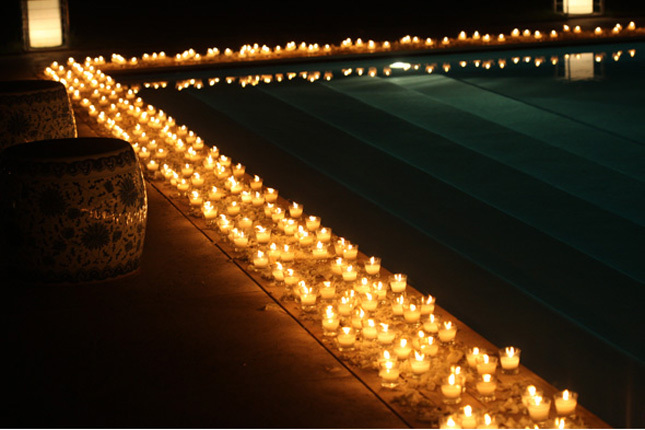 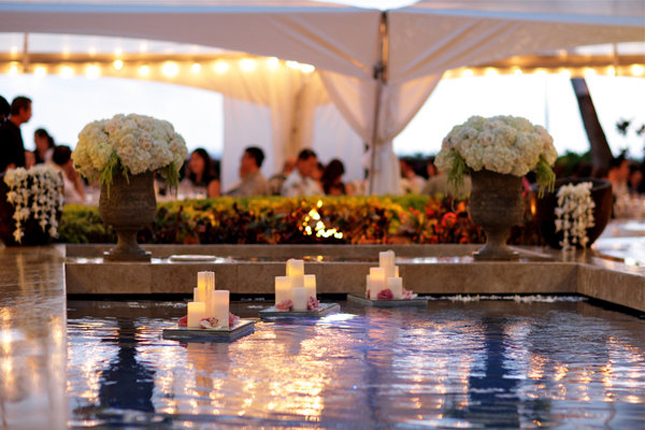 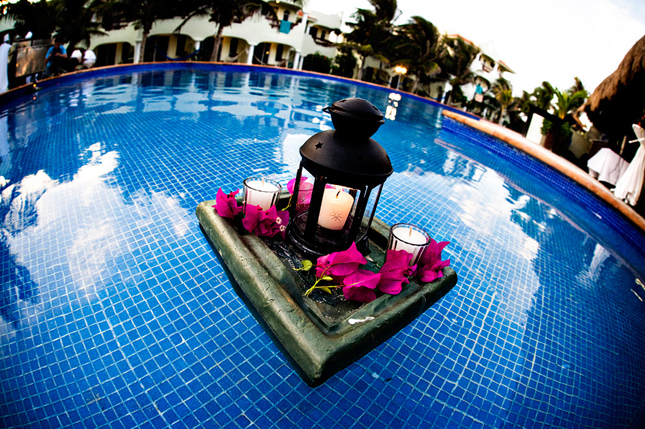 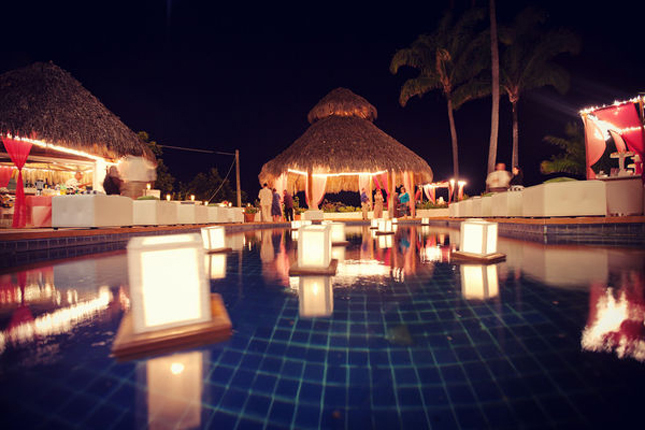 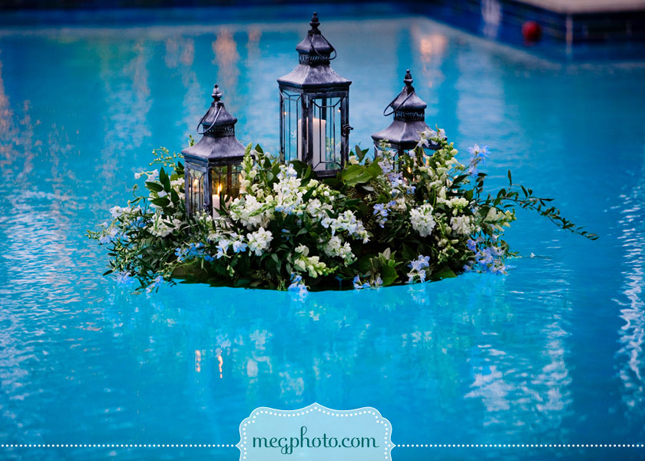 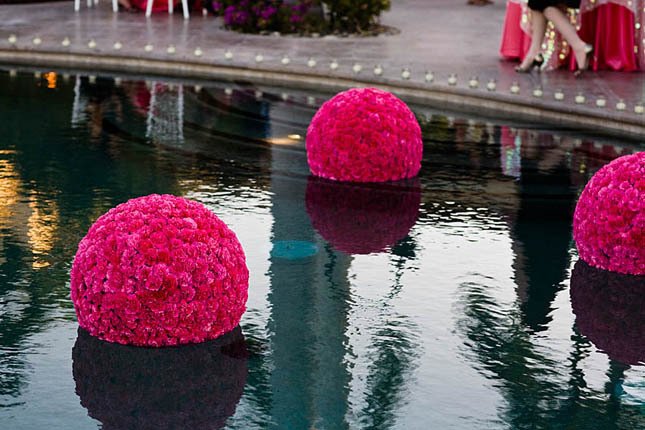 Fill the pool with floating candles, flowers or lanterns (a great selection is available at LunaBazaar) Here is an inspiring gallery of floating decorations for a gorgeous pool wedding reception.